NEW YORK, January 17, 2019	(Newswire.com) - Cognitive performance is directly affected by mood, stress, physical and psychological health. The brain has many neurons that respond to the different stimuli throughout the day. These neurons operate as a network. When the stimulus is presented, a specific neuron receives the information and then connects the brain parts needed to process the stimulus in the brain. For this to happen correctly, the brain’s cognitive function must be healthy and performing at an optimal level. Brain plasticity, the ability for neurons to regenerate and form new synaptic connections, plays a key part in this. If a neural network is lost, it cannot be fixed, but other networks may be created through different habits. Sandra Bond Chapman, Ph.D. at the University of Texas, states that when new interests are developed, hobbies and habits pursued and specific brain exercises are performed, then the brain's ability to become more proficient is enhanced as well as other cognitive skills such as memory and attention. For the past 20 years, CogniFit has been working to optimize brain function and train over 20 different cognitive skills. A world leader in neuropsychological testing, brain training, and cognitive stimulation, CogniFit has been training, cognitive skills related to habits and hobbies such as reasoning, attention, memory and speed processing. Furthermore, it knows the importance of new habits to optimize neural connections. Brain training: Challenge your brain to new and fun activities. Researchers at Tel Aviv University (May 2013) found that problem-solving and puzzles could contribute to prevent or delay the onset of Alzheimer’s disease in some people. Other researchers at Johns Hopkins University (January 2014) discovered that people who engaged in brain training sessions for long periods of three years improved dramatically in certain cognitive skills such as processing speed, among others. This means that incorporating brain training programs, such as CogniFit, as a daily habit will help improve cognitive skills that will help delay normal cognitive decline associated with age. Exercise: Exercise increases oxygen and blood flow to the brain. It is also responsible for reducing the stress hormone which helps enhance growth chemicals that boost new neural connections. Researchers at the Berenson-Allen Center for Noninvasive Brain Stimulation at Beth Israel Deaconess Medical Center (May 2018) established that staying active is vital for maintaining optimal health. They discovered that it is the accumulative effect of exercise that is more significant to the brain and that it improved cognitive performance. They also found that any type of exercise is valid, from walking and running to yoga and tai chi. Therefore, any exercise habit that can be incorporated into a daily routine will help brain performance. Sleep: Around 50-70 million adults have a sleep disorder. Lack of sleep impairs many cognitive skills including memory and attention. It also increases blood pressure, and it leads to a surplus of the stress hormone. It is imperative that sleep becomes a daily habit for everyone. The minimum for the brain to rest completely is considered sleeping for 6 hours. It is important to unwind and shut out the world so the neural networks can rest and reassume with the same synaptic power the day after. A good nights sleep is an important habit in order to help cognitive skills be at the top their game. Reduce stress: Cortisol, the stress hormone, aids stress to become the most common habit disorder of the modern world. Chronic anxiety can destroy brain cells very fast and in turn hinder cognitive skills such as memory, attention, reasoning, etc. Neuroscientists at Berkeley University (2014) found that chronic stress can trigger long-term changes in brain structure and this may lead to premature cognitive decline. 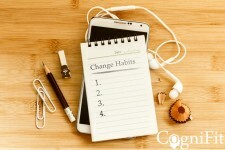 To avoid these changes, it is important to reduce stress as a habit. It is ideal to incorporate different ways that may help deal with chronic anxiety, mental problems, and day to day problems in a better and efficient way. Some of these may include letting go of the past, expressing your feelings, stop anticipating the future, limit multitasking to avoid saturation, etc. 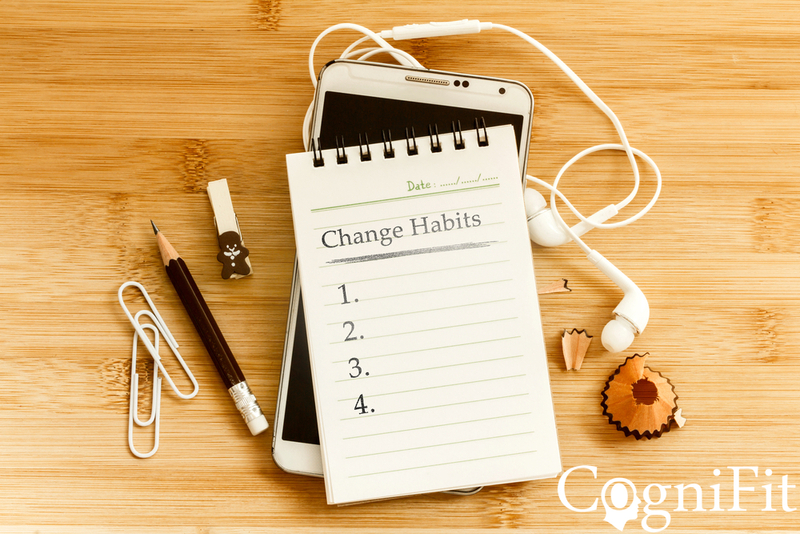 Habit formation is a process that takes time, and old habits die hard. However, after reviewing the brain benefits of the mentioned habits, it is undoubtedly important to start putting them into practice. CogniFit's patented technology has been designed by an international team of scientists, neurologists, and psychologists who investigate and combine the latest discoveries on the brain with advanced adaptive algorithms and big data analytics. For 20 years, CogniFit has been developing personalized brain fitness programs with leading scientific institutions and published its results in several peer-reviewed publications.